1. Click on the RSS button in the list below or copy the URL, and paste it to your chosen web browser or RSS reader (podcast application). Or simply click on the Download button. 2. Download a MP3 file of your choice and listen to it on your PC or MP3 player. 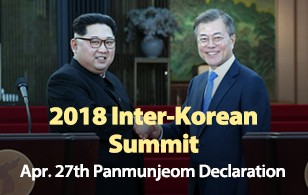 Korea 24 brings you in-depth news coverage and expert analyses on current affairs in and around the Korean Peninsula. Join DJs Angie and Peter as they take you on a two-hour journey into the world of K-pop! The first half of the show is packed with K-music, while the second half is filled with fun chat, entertainment, and K-pop news! Literature lets us travel through time and space using writers' insight as a guide. "Books on Demand" introduces to the international audience novels that left significant marks in the history of Korean literature.